Git and GitHub are the two modern source control platforms that change the way we can work together developing software. 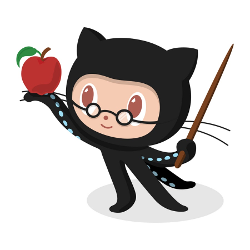 GitHub is a rich user interface on top of Git and enables you to manage source repositories. Although GitHub shines best in open source development communities, it's power can also be used by IBM i developers. Our in-house developed change management software, TD/OMS integrates with both Git and GitHub and enables an end to end deployment platform leveraging (and harnessing) both tools. GitHub is a development platform inspired by the way you work. From open source to business, you can host and review code, manage projects, and build software alongside millions of other developers. GitHub brings teams together to work through problems, move ideas forward, and learn from each other along the way. "Today our customers can experience quick and smooth integration of both Git and GitHub inside our TD/OMS, Object Management System platform. Git interface integration with TD/OMS enables you to hook your IBMi source code into Git. Also, working with TD/OMS you don’t need to switch to GitHub website anymore".